This is a version of the talk I gave last week to the Primary care and pubic health conference at the NEC Birmingham. The main purpose of this post is to reinforce some of the messages in that talk to delegates, and help with signposting to other resources. It may also be of interest to other professionals curious about these conditions. Professionals and parents are increasingly aware that children are being diagnosed with developmental disorders, but it’s not always clear what these are, or how to spot them. My aim is to help with this. The term neurodevelopmental disorders is often confusingly defined. For me this is a group of inter-related patterns of abnormal neurodevelopment, which show themselves in characteristic patterns of behaviour, and lead to functional impairment in the child. Put another way, these are just patterns of dysfunction that more or less cluster around certain diagnostic terms. This piece is not about the causative pathways that lead to these conditions, nor about the anatomical, physiological or genetic correlates, but about spotting and differentiating these patterns, in order to inform intervention. I’ll try to cover ASD, ADHD, DCD, and a few other topics. Basically, when I run out of energy, I’ll stop. There are a few universal points about these conditions that are with making. 1) They are multifactorial. Anyone who tells you that these problems are entirely biological or entirely psychosocial is just flat wrong. 2) They are spectrum disorders. What I mean by this is that the developmental variance causing these disorders lie on a spectrum, stretching from the Neurotypical range outwards. Therefore, there is no ‘clear blue water’ between children with these conditions, and children with what are often called ‘traits’. Attempts to make a hard distinction, for instance at 2 standard deviations, are inherently arbitrary. So how do we decide? The diagram below might give some guidance, although it’s important to emphasise that it’s only a conceptual framework, not a study result. 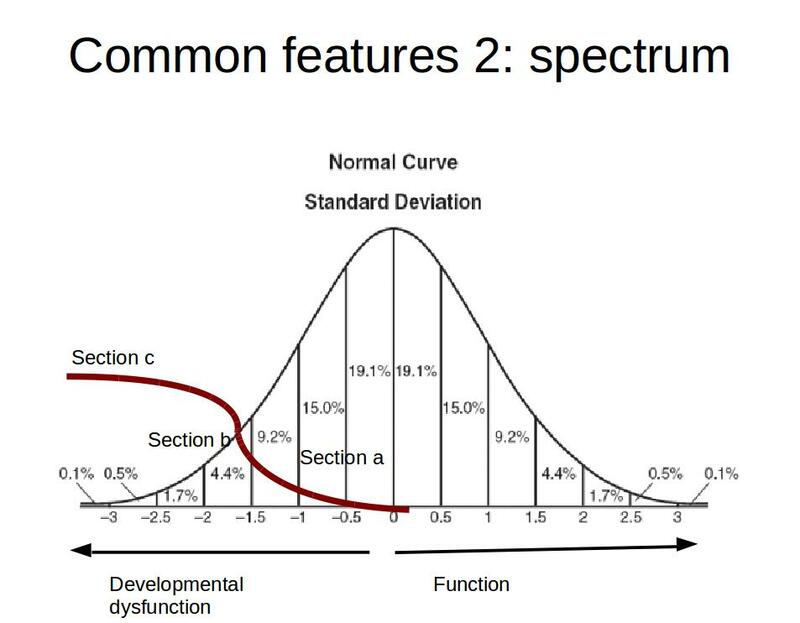 We can plot a normal distribution curve of children’s function at a given developmental age (a concept to which we will return). Now, as we know, the world is designed for Neuro-typical brains. As the child departs from this norm, difficulties (shown by the red line) are at first pretty modest ( section a), then the difficulties escalate rapidly as the child’s compensatory strategies break down (section b) and then things level out, because these children have other, relatively spared areas of development (section c). The important thing is that the shape and position of this ‘difficulties curve’ depends on the child’s environment and, crucially, the responses of adults to their behaviour. This will become important when planning intervention, because very often ‘shifting the curve’ is all you can hope for. So what does this framework mean for diagnosis? Broadly, I would say children in section a should not get a diagnosis, those in section c should, and for those in section b it should be a decision based on the usefulness of the diagnosis for this child. So it’s crucial not only to detect developmental differences, but also to work out how much trouble is being caused by these differences. 3) These conditions are co morbid. When you have difficulties in one neurodevelopmental area, you are quite likely to have difficulties in other closely related areas. These are two ways to approach this: one is to look at categories, and then a ‘rule’ of quarters emerges. Roughly, one in four children with a given neurodevelopmental disorder have any other given diagnosis. Roughly. The other way of thinking about it is like a trampoline. When you land on a trampoline, you press down on one area, but other nearby areas are often also pushed down, only not quite as much. It’s the same with development- children with a language problem often have some sub-diagnosis social communication difficulties, for instance. What we are trying to do is look at patterns of behavior and abstract from our observations a picture of the child’s neurocognitive profile. This is a process vulnerable to bias and error of various kinds, and we should work hard to correct for these factors (as I’ve covered previously for ADHD). One way to do this is by triangulating several views, for example from teacher, parent and paediatrician. When making a diagnosis, I am not making a statement about the world, but expressing the view that this diagnosis is likely to benefit this child. This is counter-intuitive but important. The best way to think about ASD is to think about people whose only difference from the rest of the population is their autisticness, that is, people with aspergers. There is nothing wrong with these minds, they can do genuinely wonderful things, but what they lack is the ability to connect facts and create rules of thumb, or guesses, to navigate through life. Put another way, they are weak at inductive reasoning, that is reasoning that takes what is observable and makes predictions and models about the world This is most obvious when they are encountering the most complex and unpredictable objects we ever meet: other people. Sorry, yes, that was my brief. Children with more serious difficulties present earlier, so I’ll split the observations you might make into those of younger children (broadly, pre school) and older kids (primary school). 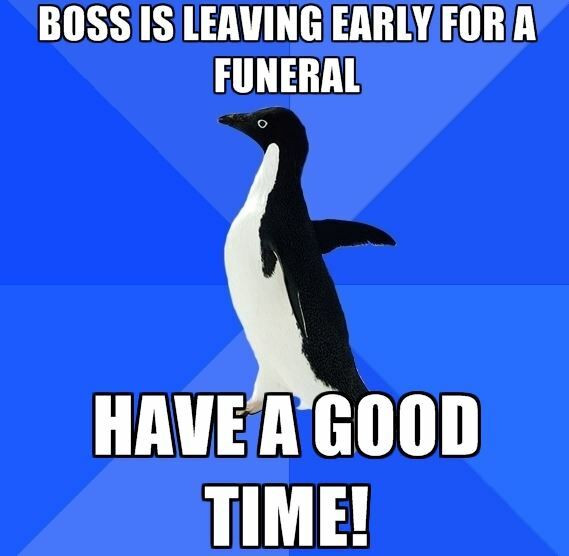 Adolescents are tricky, at least in this context, so I’ll leave them out. This is that part of communication that isn’t to do with the transfer of information, or alternatively, that part of communication that doesn’t go into an email. Look at the picture below: this boy I’d looking s straight at the camera, and his facial expression suggests expectation. 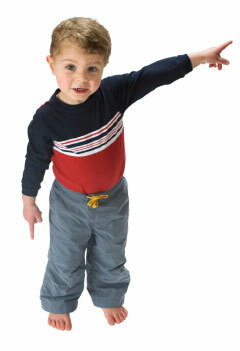 Meanwhile his finger points to something to which he wants to direct your attention (a process called joint attention). He pretty much sums up what is lacking in severe ASD. Here the problem is easiest to see in conversation. When we converse, we need to fit what we say to our partner in several ways. We need to produce content that is relevant, partly to their interests, but also to the context of what has been said. 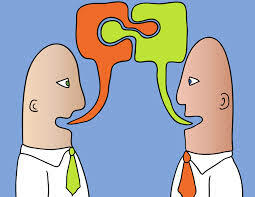 We need to frame what we say in a way that takes into account their state of knowledge, and we need to adopt a style of speech and non verbal communication which suits their expectations. Thinking about it that way, it’s rather amazing that any conversations work at all! It’s really important here to pause and make a point. People with ASD are not automata; they feel emotion, very deeply, and they do care about people. It’s just that connecting with people is hard, and the failures are often so painful that the child withdraws into his or her own world. That is, broadly, the pattern that you see in younger, more severely affected children. They often play alone, using toys as objects rather than representations of things, and sometimes use adults as physical tools to get what they want. In older children the presentation is often more like a social awkwardness, as below. Group activities, involving as they do infinite variables of interaction and communication, are often intolerably hard. Attempts to make friends in the ‘normal’ way are often frustrated, so friendships are often based narrowly on a shared interest, at least initially. I’ve said that children with ASD find it hard to make inductions (or guesses) about the world, and when you encounter something, or more terrifyingly someone, new, induction is necessary to guess the sorts of behavior and responses that are required. So we shouldn’t be surprised that children with ASD show a strong preference for the known. So for younger children, everything must be ‘just so’, and transitions to new activities are feared and therefore resisted. At this point, it’s common to hear about particular short clips of tv being watched over and over, as part of this search for sameness. For older children, there is a more subtle, internal ordering. There is often an interest in concrete, defined facts, such at bus timetables, and for ordered leisure activities and worlds such as minecraft. The habits that are developed as a way to insulate the person from too much change are often unusual, and can add to the child’s social isolation. Here is as important to be clear about what ADHD isn’t as what it is. The best analogy I can think of is that children with ADHD have brains that are too fizzy. If you think of bubbles as emotions, impulses, and thoughts, then children with ADHD just experience these more intensely, and in a far less ‘filtered’way. For most people, these ‘bubbles’ are filtered out subconsciously, and only the relevant ones (mostly) come into your mental inbox. By contrast, living with ADHD is described as ‘living in a constant shower of post-it notes‘. So children find it hard to concentrate among all this internal noise, they act on some of these impulses (especially if emotionally or cognitively overloaded), and because they, like all of us, are not passive receivers of emotions and sensory experience, they spend a lot of their time in a hyper-aroused state, which is one important reason for their hyperactivity. So ADHD isn’t anger or defiance, though children with ADHD do get angry, and frustrated, by years of getting into trouble without often knowing why. It isn’t learning difficulties, although a lot do have specific learning disabilities such as dyslexia. It isn’t laziness, though children do give up at school after a few years of not having their difficulties supported. This table can be helpful; the symptoms on the right are often present in children with ADHD, but do not usefully differentiate these children. When you have looked at the presenting symptoms, you then need to ask some more about the child’s ‘symptoms’. It’s tempting here to use the DSM criteria- I’d rather you used ASDA. This isn’t advertising, the point is that supermarkets are a nightmare for parents of children with ADHD: highly stimulating, crowded environments with long aisles to run down, tempting treats to grab, and at the end a nice long queue! If nothing falls out of this low-key narrative, you’re not dealing with ADHD. One of the changes of emphasis when looking into possible ADHD is an increased wariness about over-diagnosis. I’ve covered how to avoid this on my own blog, but broadly, parents who come with symptoms down the right side of our table and saying the child has ADHD are more likely to be fishing for a diagnosis, and these people will often wonder why on earth you’re interested in going on the bus, for example, because that is not where their problems are concentrated. It’s important, however, not to shame these families, who are just looking for a reason for their child’s behaviour, but to gently steer then away from neurodevelopmental towards more family dynamic explanations. I call developmental coordination disorder the Ronseal disorder: it does exactly what it says on the tin. When coordination is significantly poor due a developmental process to cause functional impairment, dcd is present. There are complications, in that you need to ensure that the impairment doesn’t have another cause e.g. learning disability, but that’s mainly it. It generally presents with one or more of poor self care, frequent accidents, disorganization at school and aversion to sports. What’s interesting about DCD is what underlies it, because that will guide therapy, and give clues to other problems that ought to be anticipated. Broadly, DCD can be caused by one or more of: low muscle tone, causing a relatively pure motor presentation, sensory processing difficulties, of which more below, and difficulties with planning. Broadly, it’s the process of getting things done, and children who struggle with this cognitive skill, however bright they may be, are likely to struggle with academic activities, and with organising themselves at home. Often difficulties with executive function are underpinned by a combination of problems with attention, memory and planning. I mention it here because an intriguing group of children who may previously have been classed as ADD (without the H) may turn it to be more usefully thought of as having executive dysfunction. Sensory processing difficulties: vague but important. Think for a minute about an intense physical sensation: if it makes you feel more comfortable, we can agree that I’m referring to eating chocolate. This sensation can have powerful effects on your emotional state, which if controlled and channeled can be profoundly positive for your emotional well-being. Then imagine that whether you experience this sensation is not under your control, but that of others, either knowingly, or unknowingly. Finally, imagine that this intense sensation can be touch, or noise, or flashing lights. If you have followed this thought experiment, you may be in a somewhat better position to understand children with sensory processing difficulties, who often self induce precisely the sensations that they find unbearably aversive when done ‘to’ them by others. These difficulties are most prominent in ASD, of course, but are also an important determinant of DCD, as difficulty processing touch and body position information makes motor coordination less accurate. When deciding if a child will benefit from a given diagnosis, one of the questions is always whether the features are excessive fir the developmental age. This is a slippery concept, and it might make more sense to talk about a language age, and a nonverbal cognitive age (for psychologists tutting at my lack of rigour, this equates to the age when the child’s performance would be on the 50th centile. So there). Basically, you can’t expect children to behave too much older than either of these. A child with the cognition of 6 year old in a classroom of 9 year olds will look like he has all of these neurodevelopmental conditions, at one time or another. The other, obvious point is that we shouldn’t be identifying these conditions unless we are reasonably confident that the child can see and hear. The latter problem particularly is easily missed, so testing should be considered at an early stage. 1) You’re looking for patterns of behaviour, not particular ‘symptoms’. Each behaviour needs to be thought about in context. 2) Concentrate on the mundane, and amazing things will fall out. 3) Never take one person’s view as definitive. Even mine.